Wednesday, December 11, 10:00 a.m. - 12:30 p.m.
Art and Celebration. Ages 5-14. Many of the Christmas customs we take for granted today were invented or popularized during Victorian times and were flourishing when the Eustis Estate was built in 1878. 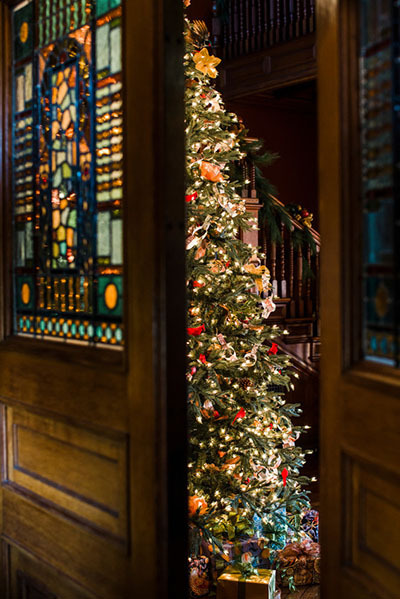 We invite you to learn the history of Christmas while exploring the lavishly decorated mansion. Participants create a variety of holiday crafts, enjoy seasonal refreshments, and receive a small wrapped gift.